President Abdel Aziz Bouteflika Tuesday sacked his Prime Minister Abdulmajeed Tabboun less than three months after he appointed him to the position and replaced him by veteran politician Ahmed Ouyahia. 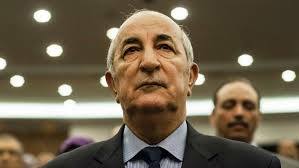 Tebboune’s sacking was made public through a statement carried out by the state news agency. “In line with Article 91 of the Constitution, the president ended the term of Prime Minister Abdul-Majeed Tabboun,” the statement said. “According to the same constitutional provision, and after consulting the parliamentary majority, the president entrusted Ahmed Ouyahia with the Premiership,” it added. Tabboun, who was appointed on May 24, told the media that he remained faithful to the President despite his replacement. Ouyahia, 65, a well-known political figure, is hailed by parties close to the ruling FNL as the right man to work out the country’s lift out of economic hardship. Critics of the president said sacking of Tabboun underlines the instability at the top of the state. They also point out that snap change is a sign of authorities’ lack of vision to address the economic crisis. The North African country has been facing economic downturn over the sharp collapse of oil revenue over the past few years. Written by: KanelkaTagba on August 16, 2017. Posted by KanelkaTagba on Aug 16 2017. Filed under Headlines, World News. You can follow any responses to this entry through the RSS 2.0. Both comments and pings are currently closed.